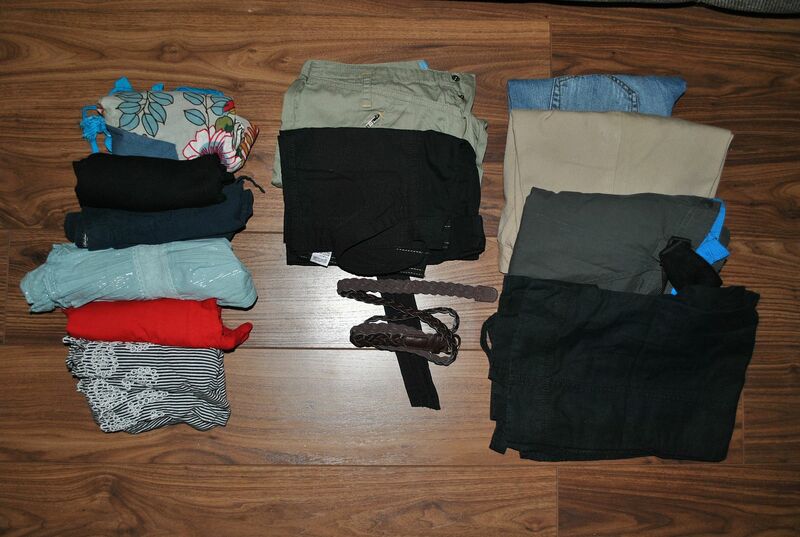 How does a girl decide what goes into her backpacking packing list? At first I thought to find the biggest backpack and fill it with as many of my material possessions as possible, after all travelling for an extended period of time will throw up all situations! But, after taking advice from many other travellers, I realised that one of the best things about travelling is the opportunity to simplify your life and be free of unnecessary material things one accumulates. I thought sensibly and selected a fairly small but realistic sized back pack, one which I could comfortably carry across all types of terrain and methods of transport that we will encounter! After all, the last thing you want is to be held back from jumping on that speed boat to the next island or that cheap tuk tuk to the bus station due to a very large and restrictive bag, not to mention having more things to worry about losing! 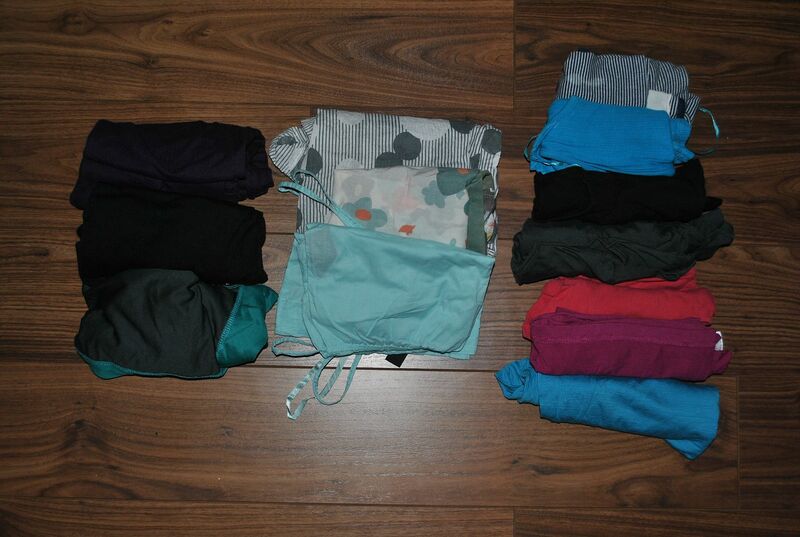 So here is a summary of my female packing list and how it’s worked out for me! Click here for the male backpacking packing list! This will be one of the most important decisions you make, as the size of your backpack will impact on how much you take with you, how heavy your bag will be on your back, and therefore how comfortable you will be as you hop on and off buses, boats and tuks tuks across the globe. After all our adventures, I have finally settled on the size of backpack that best suits me! For me, a 45 Litre Backpack (With Wheels) is the backpack that best suits me. Not so big that it becomes uncomfortable and unwieldy, but large enough to carry everything I need. Plus it really makes you think about what is important and not to take with you. I chose one that is a backpack but can also be wheeled along the ground. It gives me flexibility to swing it onto my back when I need to, and wheel it when I can! It also opens up fully like a suitcase, rather than a top opener which makes accessing everything far easier than having to pull everything out to get to the bottom. This is the bag I now use . I also carry a smaller backpack with me, and use this as a day pack when we’re out and about in a city or on a trek. This is mostly used to carry daily essentials like water, maps, guidebooks, purse, phone, camera, kindle, sunscreen, sunhat, sunglasses, scarf, snacks etc. I also use this to carry my valuables when we’re travelling between two destinations. It means when you jump onto a bus, train or plane, you can put your large backpack in the hold/storage compartment and keep the most important things on you with the small bag. This includes taking it on buses and planes and putting it under the seat in front of me, or on sleeper trains I can put it next to my pillow and sleep next to it. You could always loop your arm through the straps if you wanted to me even more cautious. Having this bag gives me piece of mind that my valuables are always close to me and in sight. It also means when we jump off a bus or train into a group of eager taxi/tuk tuk drivers, the bag can be put on my front to so no-one can access it without me noticing. This is the bag I’ve used the last few years , it was a bargain! I’ve experimented with walking boots and walking shoes, and I prefer the lighter, breathable walking shoes for most of our treks. These Salomon Walking Shoes are most suitable for warmer climates, and they are perfect for daily activities in towns and cities as well as multi day treks. As they are breathable, I have no problem walking through rivers and streams with these. Yes your feet will get wet, but they quickly dry out. These are the ones I use ! For more relaxed walks around cities, or short day treks, I’ve used these Karrimor Walking Sandals for the last few years and highliy reccomend them. They are particulary good when its hot and you don’t want to wear your walking shoes, but your flip flops aren’t suitable. These are the exact ones I use . A pair of flip flops is an essential item on your travels! They slip on and off easily, especially when entering and leaving temples, going in communal showers, hanging out on beaches etc. They’re also small, light and fit easily in your backpack. Starting from the bottom up…. When I go trekking, I’ve learned that I prefer to wear trekking trousers, irrespective of how hot it is! I’ve had some interesting interactions with various nettles, beetles and ants on my bare legs as I’ve walked through jungles (which I don’t want to repeat). These Craghopper trekking trousers have looked after my legs very well, they keep me relatively cool in hotter climates, and they’re lightweight for your backpack. You also save on sunscreen as well, trust me you don’t want to be slapping on sunscreen on your legs every few hours on a trek, especially when the bugs are attracted to the smell! Pretty self explanatory really, it’s up to you how many you take but I find 2 pairs to be enough (you can wash one pair whilst you’re wearing the other pair). Just like the trekking trousers, a long sleeved top is essential for me on treks and when we’re out and about exploring in the day time. It covers you from the sun (saving on sunscreen), and also protects from nettles, plants and insects. These thermal leggings and top are an absolute must if you’re heading to cooler climates, or if you are trekking up a mountain. It’s amazing how cold it can get on a trek, even in warm countries during summer, espeically if you’re getting up before dawn to trek. They are also good for sleeping in as well. It’s all about layers when you travel, and sometimes you’ll need a fleece under your waterproof jacket. These are lightweight and roll up small for your backpack! (a proper travel one from Tiso for example) Then other essentials such as malaria tablets (need to buy in advance for visits to malaria affected countries you’re visiting – we went for malarone as least side affects though expensive. Good tip is to order from Lloyds pharmacy online and collect) Ibuprofen, aspirin, rehydration tablets or powder, Diarrhea tablets, Savlon cream (to help soothe bites etc) and obviously make sure you get your vaccinations in advance! 1 x padlock (for your day pack with your essential items to reduce chance of theft, we recommend a combination lock . So that’s it, my backpacking packing list! What do you think? Anything I’ve missed that you think I need? Let me know in the comments below! Interested in what Barry has taken with him? Have a look at his backpacking packing list! Laura travels the world for adventure, but isn't afraid to spoil herself with a nice room and glass of wine every now and then. She can be found in any shop or market stall where they sell cute little handicrafts. That’s a great, detailed packing list! In my personal opinion, I would consider 4 x t-shirts, 3 x vest tops and 14 x underwear a little excessive. Maybe it’s because I’m a boy, but I could easily get by on 3 x t-shirts, 2 x vest tops and 7 x underwear. Hi Julia, good question! We wear the big backpack on our backs, and we put the small back pack on our front with our arms through the straps. It’s comfortable for us, and means we can keep our expensive items in front of us and in sight all of the time. Some people prefer to only have one bag, we prefer two. As for flights, we check the 40l bag into the hold of the plane and take the small bag as cabin baggage. Hope that helps! Thanks for the tip Katie, funnily enough Laura has just invested in one like that and we’ll have an updated packing list up in the next couple of weeks! It’s great, do you have one as well? I am going on a 3 month trip. Would u recommend a 40L backpack? I wasn’t sure how long your trip was for when u out this list together. Thanks! Hi Maria! When we originally put this list together it was for a 1 year trip and numerous different seasons! How much you take depends on where you are going, what the weather will be like and what types of activities you are going to do. I would say that a 40l backpack is sufficient for many people for 3 months, but for others they may prefer a 60l. As you’ve probably guessed from our packing lists, we’re not the lightest of packers for our trips, but we don’t mind as we work as we go. You’ll find other packing lists where people take a lot less than us! So what I would say is pack as light as you feel comfortable with. You can always buy things on the road, but you might want to make sure you purchase a good backpack, walking shoes and/or sandals before you go and medication. Everything else you can probably get on the road! The less you take the happier you will be when you’re attempting to get off a bus or train at a station, you don’t want a heavy bag at that point! Hi Lizzie! Not sure of the brand to be honest, but I think we only paid about $10 for two. If we were to do it again, we would skip the large compression packs and buy two or three smaller ones – it can be annoying having to open up the big pack to get one thing out! Perfect packing list! Thanks for sharing! Hi.. Great advice!… i got a 40L backpack and I feel much more confident that all of my things will fit.. Did you check you backpack in while flying? If so did you wrap it up or put it in a bag of some sort so the straps would not get eaten on the baggage carosel? We do check our backpack in but don’t wrap or put it in a bag. All we do is tie the straps on the back together around the two back straps which makes it easier to pickup for baggage handlers and means the straps don’t get caught on anything! Takes about 2 minutes in the airport. specific travel compressors? Any more info would be a great help. Hi Gillian! They are easily re compressed yes, all you need to do is seal the bag closed (kind of like a zip lock) and then squeeze the air out by lying on top of the bag. We’ve used them for a year and they still work now! No need for a vacuum thankfully. This is a really great list, thanks! I’m trying to choose a backpack for a 3 month trip (possibly longer) and it now seems that 60L bag will be surplus to my needs. Phew! Going to go for the 40+15L option! Great! Glad we could help Peppy! Hi, Im struggling to find a 40L pack which has the 15l daypack attached to it (Zipped on) , do they come in this form, or did you buy the 2 seperately? ID much rather have them both attached together so theyre easier to carry. Wheres the best place to purchase the backpacks? We had them separate on purpose, so that we could keep out valuable electronics in front of us in busy markets. Also made it easier when we took our small backpacks onto buses so we could work on our laptops, watch a movie etc! Thank you so much for this list, it is great! I am going to Africa for two months and then hopefully heading to Southeast Asia for a month after. I have never done travelling to this extent, never mind backpacking! I have read quite a few “Packing Lists” online and a lot of girls bring a lot of shoes! I was just going to buy Keen sandals, because they are hiking shoes, sandals, water shoes etc. so they would fit all the criteria right? I was also thinking of bringing (along with my backpack), a cloth duffle bag (since it would be easy to roll up if i didn’t need it or easy to fill up if a bought things) and a smaller, purse-like bag for the important things (money, passport etc.). Do you think that is a good idea? Also I have seen on a few sites people bringing sleeping bag liners while they are staying in hostels/hotels… is that for if the sheets are gross orrr? Hi Shawnel! Sounds like a great trip you have planned, Africa and South East Asia will be great! Keen sandels are great for your destinations, we took closed hiking trainers because we were heading to cooler climates but if you are staying in warm climates they should serve you well! For your other bag choices, the simple things you need to think about are: how often will you be using them, and what will you be putting in them? What do you plan to use as a day pack and what will you have inside it? We normally take a small 18l backpack out with us during the day, with water, hats, sunscreen, maybe jackets, guidebook etc so you’ll need something comfortable for the day time. As for money and passport, we keep those on our body, not in a bag or purse. We mix it up between zipped pockets or just hidden on our person depending on what we are doing, we don’t ever have those things in our bags just in case. The sleeping bag liners are a debatable one – we don’t use them anymore, mainly because the hostels we choose are normally pretty clean. I think we used a liner once in our lives! Plus, depending on where you stay, a lot of hostels dont allow you to use them because (depending on what you believe) they actually transport fleas and other little creatures in the liner! I’m thinking of taking a 40 or 45 litre backpack so I can take it on flights and not have to check anything in. Are you able to take your bag on flights? I saw from a previous comment that you check it in. Is that because it can’t be taken on board flights or because you choose not to? HI there, we check our backpacks in because we have larger bags than the 40 to 45 litre bags! Just a personal preference for us – it doesn’t bother us that we have to wait a few minutes to get our bags after a flight, but other people are all for carry on! We choose to take on board our small 18 litre backpacks because thats where we carry our laptops and cameras. The same goes for buses: large backpacks in the hold (nothing of value there) and small backpacks with us on the bus! We normally only use the 40l when we’re moving between cities, so when we do that we put the smaller backpack on our fronts! This is so when we’re on a bus, we can dump the big bag in the hold and not worry about it, and keep all our expensive items (laptop, cameras etc) on us in the bus as we travel in the small backpack. Once we arrive, we leave both bags in the room and I take my small backpack with camera in for exploring! Hope that helps! -1 x Toiletry bag (ok these are the items i’m not bother with taking- miniature shampoo, conditioner, body wash, face wash, toothpaste, deodorant stick, linen wash, face wipes, face cream) now these are things you want so what i suggest is if you are travelling with a group don’t duplicate, get full size ones and each take one item, or if you are by yourself consider not bring these with you but buy them once you there, conditioner, body wash, face wash and face cream you really wont want at all. your face will have so much suncream on it when traveling that face creams are a bit redundant, get a two in one shampoo when you get to your destinations each time you arrive and use it as all types of soap (face/cloths cleaner too). -Bring a few passport photos is a brilliant suggestion it always catches you out if you forget. also photocopy your passport it comes i handy at the embassy if you lose your passport. ok sorry if this sounds mean but i’m just hoping to help readers out so i hope its useful to some people. think of it this way most girls have a huge wardrobe but wear 10% of their cloths 90% of the time same with what we bring backpacking so its best to really thinking about each item before you pack it because you’ll be stuck carrying it. If you are backpacking for a really long time you tend to buy some cloths as you go along. always leave home with decent amount of spare room in you bag and post things home if you find out you don’t need them. I once went travelling with a backpack weighting 3kg for 3 month (asia) yes i was mad but it really was great and i didn’t need more (a lot more was hacked that in this list cull (cloths basically consisted of 2 dresses, sarong, cardigan and one change of underwear)). Good luck and happy travelling. Hi Jenny, thanks so much for the detailed comment! You win the prize for longest comment on our blog ever! Seriously though thank you for the alternative suggestions on our packing list, they will be very useful for those who like to travel lighter than us. We’re about to embark on our travels again in the coming weeks, so we’ll be posting an updated version of our packing lists and I imagine we will be cutting down on some of the clothing items above so watch this space! Thanks again for commenting! Awesome packing list – I am just getting ready to go on a 6 month trek around the world, trying my best to keep my packing list as minimal as possible! Haha good for you Anna! Definitely pack light, we are currently reviewing our list ready for our travels next year to Japan and beyond, we’ll be packing even lighter this time! Have a great trip! Thanks for your packing list suggestion! Very helpful, although I also packed quite a bit lighter (and didn’t even use all of my clothing). Clothing is very cheap depending on the country–so if you forgot something, it is likely possible to purchase clothes elsewhere. And tissue. You can usually buy this in country, but then it is useful to take with you on trips away from touristy areas or cities. Most places in the world (at least the few that I have been to) do not usually have toilet paper available/especially in public restrooms. A little late to the party, but this list is currently saving my life AND my sanity, as I try to pack for my trip to SE Asia in 15 days!! I like to think I can figure these things out on my own, but sadly, I’d probably end up trying to stuff a pair of heels into my bag if I didn’t find a list that did not include that ;). Thanks again, you rock! Haha thanks Amanda, packing can be pretty stressful! And as for the heels, maybe you’ll be invited to some fancy cocktail party and just wish you had a pair ;0) enjoy SE Asia, we love it there! Hi Rhianne, thanks for stopping by! To take a towel or not is a big deal for travellers, personally we don’t take a big one, and we have a small travel towel for when there really is no other option. The places we stay across the world tend to offer towels as an option, sometimes as part of the price and sometimes as an addition. Personally I don’t think its worth the additional space, if you need something to lie on on a beach then a sarong is probably a good option to have, and that doubles up as a towel and something to wear. Good luck on your travels! This list is not for those who wanna travel light lol. I’ve never traveled like that but I am planning on doing that a few years from now with my the hubby, as soon as he finishes school and we save up enough to travel for at least 3 months (but hopefully for 6!). If you don’t mind me asking, how heavy was your biggest backpack? I am trying to get an idea and trying to find out if I should join the gym starting tomorrow to get used to lifting heavy weight Lol. I still have a lot of research to do and planning, but oh boy, I already can’t hold my excitement, even though I know we won’t be doing that for at least the next 3 years. Thanks in advance! Hi Jessica! I think the heaviest my backpack has been is around 12kg, that’s because I store my electronics in my small backpack. Best to pack what you think you need, and go for a walk for a couple of hours with it on your back where you live. You’ll quickly figure out if its too heavy for you! The list rocks! I love to move a lot and when I travel I usually go tracking or to explore the nearby towns and paces so I have a 40l backpack and also a 20l small one. I really appreciate this list. I always forget something that is important so it is really handy to have a good traveling checklist. Bringing passport pictures is a great idea! Thank you so much for sharing this. Soon I will be on the move so I will use the traveling checklist for packing my backpack. Greets! Thanks Ginger, glad you found the list useful! I leave for a RTW trip in a little over a week and this list is extremely helpful. Thanks for taking the time to create such a detailed packing list! You’re welcome Jillian and enjoy your adventure! Weighs not ways. There is more than one way to skin a cat. It weighs a tonne! Great post! Please could you tell me what make your backpack with wheels is?